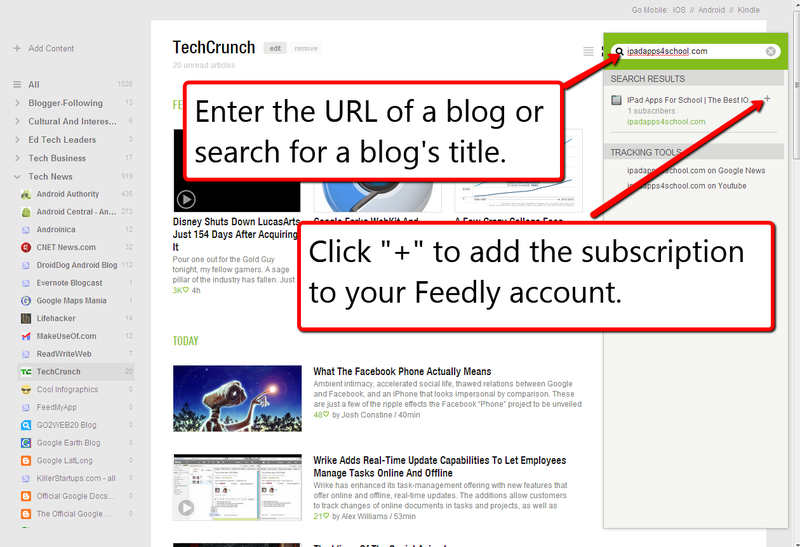 When Google announced that Google Reader will be closed on July 1 my recommendation to you was to give Feedly a try. 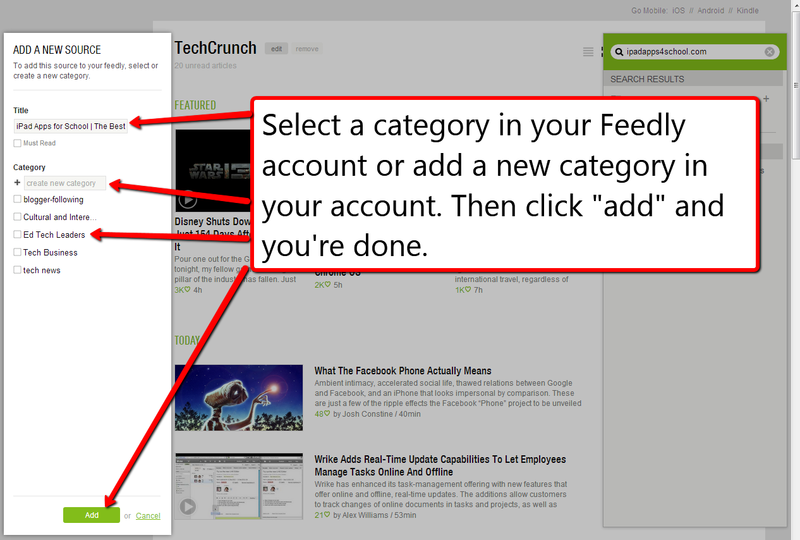 Feedly is a great service for reading your favorite RSS feeds on your iPad, Android device, or in your web browser. 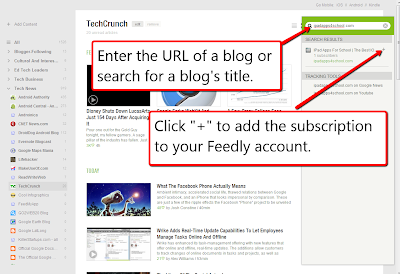 Feedly will import all of your Google Reader subscriptions for you. If you want to subscribe to more blogs after the import is complete, follow the directions below. 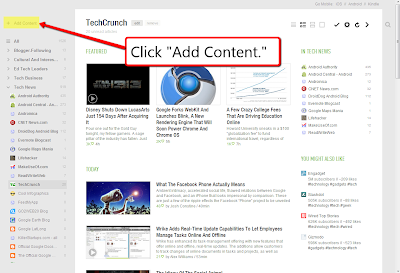 These directions work when you're using your web browser to read Feedly. (Click the images to view them full size). Step 1: Sign into your Feedly account then click "add content" in the upper left corner. Step 2: Search for a blog. Step 3: Add the subscription to a category folder.